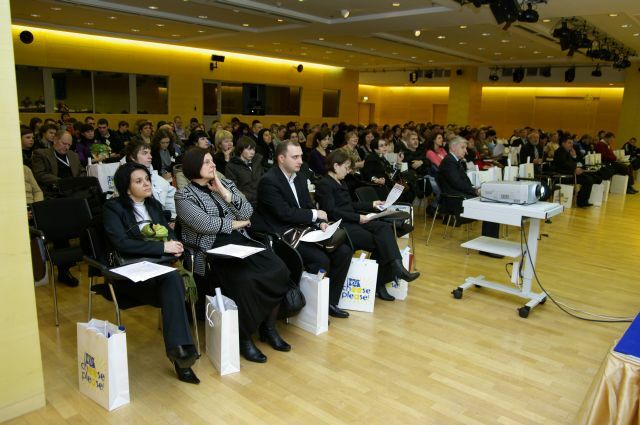 The third in a series of four scheduled and approved Events took place during the international Prodexpo Exhibition in Moscow on Tuesday, 8 February 2011. 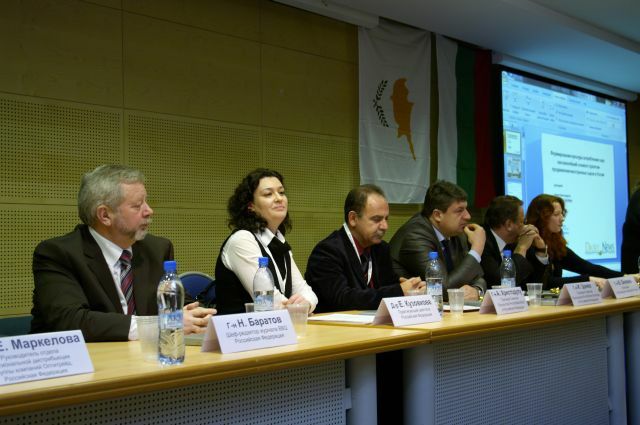 In keeping with previous Events both hosts the Pancyprian Organisation of Cattle Farmers (POCF) Public Ltd and the Association of Dairy Processors in Bulgaria invited press representatives, doctors, nutritionists, traders, distributors, wholesalers and importers to the Expocentre Conference Centre. There was an attendance of well over 200 people to hear the panel of expert speakers; Local Nutritionist, Local Dairy press reporter, Chairman of the National Chefs Association, Commercial Attachés of both Bulgaria and Cyprus, local Distributor and Chef and Editor of Specialised Magazine. 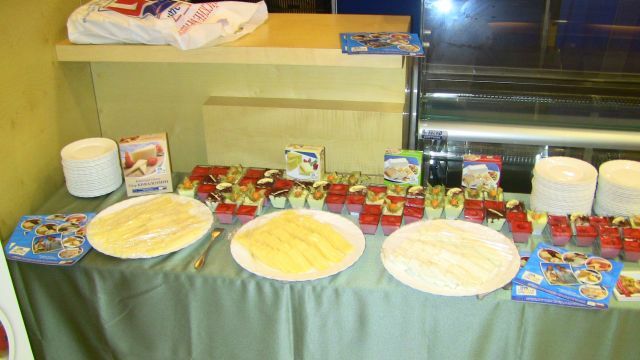 Each speaker described the benefits, health, safety and nutritional qualities of the European cheeses (Halloumi, White Brine Cheese, Anari, Kefalotyri and Kashkaval), how best to cook and enjoy them and how and where to buy the cheeses. Dignitaries were invited from both Embassies of the Republic of Bulgaria and the Republic of Cyprus and also from the Bulgarian Trade and Economic Relations Office in Moscow and the Cyprus Trade Centre in Moscow. Other guests included TV and radio media, all print media, restaurateurs, importers and distributors of fine foods, trade associations, culinary schools, food retailers, food experts and many others. 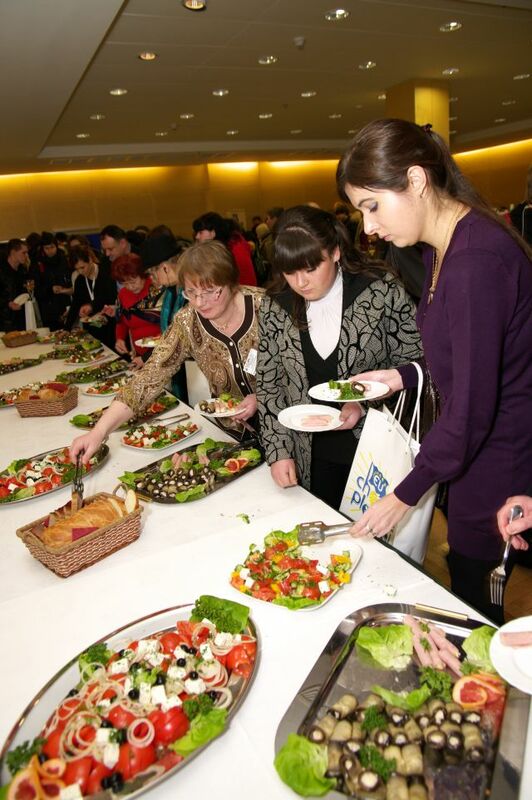 Each Event guest received a promotional gift bag filled with promotional gifts and information material as a reminder of their participation at this special event, and was invited to sample the European cheeses at a sumptuous buffet that was set out in a Colonnade Buffet hall next to the Conference Centre. Both the Conference Centre and Colonnade Buffet Hall were decorated with European and host country flags (BG & CY), programme banners and programme posters. 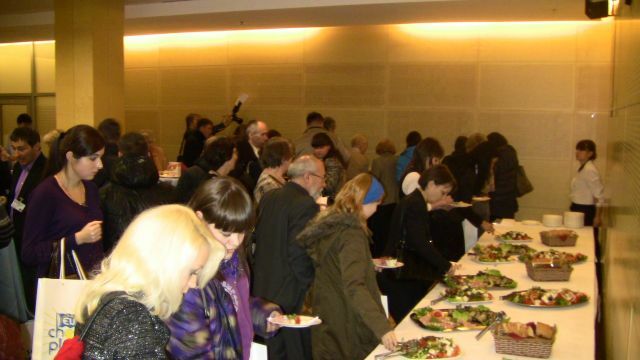 All visitors and guests enjoyed the Event programme and took delight in enjoying the buffet menu of cheese dishes which were cooked in a variety of ways in both sweet and savoury recipes as demonstrated in the programme brochure.